There is a wide variety of fingerless wheelchair gloves which can make for extremely comfortable wear. Most fingerless gloves come with a high degree of customization and one can choose from padded palms, different kinds of material, with or without knuckle holes and so on for maximum comfort and grip. Fingerless wheelchair gloves offer extra grip and dexterity in managing a wheelchair. It is important to have a high degree of driving control and these gloves can deliver the same. Apart from indoor use, such gloves can also be used in outdoors and in wet and cold weather too. A wheelchair glove will help the wearer grip the rim of the wheel and retain a firm grip. Such gloves can also help prevent abrasions and calluses. 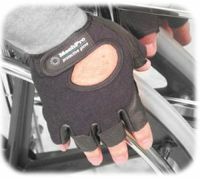 Fingerless gloves are also used by golfers, cyclists and weight lifters as well. Among the list of possible wheelchair accessories, like a lap tray and a ramp, wheelchair gloves are also extremely essential. They come in different sizes, like regular gloves, and also in combination of materials. For instance, some of them have a crocheted back and leather grip. They also come in material like suede, leather and deerskin. It is important to measure hand size correctly to get the right pair of gloves. It is best to measure by wrapping the tape around the widest portion of one’s hand. It is recommended to make a loose fist and then note the measurement. Gloves sizes vary between Extra Small to Triple Large and most good companies will also have a measurement guide listed on their websites and therefore one can choose the correct pair and the preferred color as well. Depending on the material they are made of, the cost of the gloves can vary from $10 upwards. For instance, a pair of foam padded leather gloves with basic Velcro straps and hooks for fastening can come at around $20. 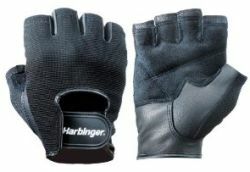 For more sophisticated gloves, which may even come with gel pad inserts, the cost might go up to around $60. Maintaining wheelchair gloves will largely depend on the material they are made of. Materials can range from Lycra, spandex to leather and for each of them simple swabbing with a damp cloth is more than enough to get rid of dirt and grime. Some of these gloves are also capable of being washed in a washing machine. When not in use, it might be helpful to hang them to get some air and sunshine. This will enhance durability and life of the gloves and get rid of any odor that they may have. If you are going up a steep incline, go backwards with the wheelchair. Going backwards will provide you with more control since the majority of the weight is in the rear wheels. Make sure to wear your seat belt on the wheelchair because a bumpy road can knock you off your seat. You have to be actively aware of your surroundings, especially the ground. Stay away from certain surfaces that might appear slick or uneven. 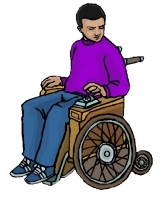 Determine your ability to avoid objects in a wheelchair. For example, how quickly can you make a turn or go backwards. You have to use the wheelchair like it is a part of you. Understanding your own proficiency will help you in dangerous situations. So practice wheelchair techniques such as making turns, going backwards, making immediate stops and going on uneven surfaces.